Product prices and availability are accurate as of 2019-04-20 05:21:05 UTC and are subject to change. Any price and availability information displayed on http://www.amazon.com/ at the time of purchase will apply to the purchase of this product. 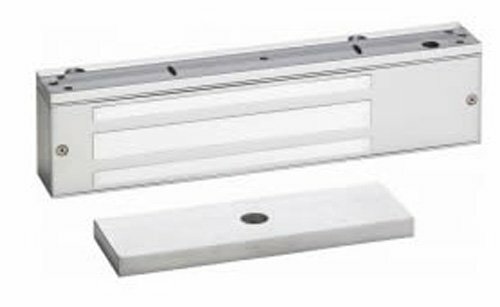 SDC 1511S series single exit check integrated electromagnetic delayed egress lock with voice/tone/digital countdown display. Surface mount. Stop theft, control pedestrians in public facilities and airports, control wandering patients, guard against infant abduction The Exit Check electromagnetic delayed egress lock is designed to delay egress through perimeter exit doors for 15 or 30 seconds. Concurrently an alarm sounds while security and personnel are alerted of unauthorized egress. Compatible with access controls and patient wandering systems, SDC exit check delayed egress locks release immediately in an emergency and comply with all national and regional building and fire life safety codes, including NFPA 101, Special Locking Arrangements. Verbal instruction, tone and digital countdown display- SDC's proprietary annunciation incorporates an alternating tone and verbal message with a digital countdown display and sign. 1650 pounds holding force. Emergency release input. Activation by door movement or exit bar. Locked and egress mode monitoring outputs. Adjustable timed bypass 1 to 30 seconds. Key reset, sustained bypass and timed bypass. UBC and California compliant manual power up. Autosensing 12/24VDC voltage input. ANSI/BHMA grade 1 compliant. BHMA certified holding force. UL, CSFM, MEA listed. Measures 11-inches length by 2-3/4-inches height by 2-5/8-inches depth.